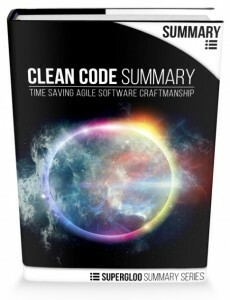 Save your time by reading this summary of Clean Code: A Handbook of Agile Software Craftsmanship by Robert C. Martin (aka Uncle Bob) from Pearson Education. 1) Experienced software developers, engineers, and managers who need the in-depth understanding of clean code craftsmanship principles quickly. 2) Engineers and managers who have heard of the critically acclaimed Clean Code work, but wonder if it warrants further investment. 3) Engineers and managers curious how Clean Code principles could fit into their software development environment. Compact summary of the fundamental principles of Clean Code in a fast, convenient format. Essential elements extracted by a developer and manager with 20 years of experience in software development and data analysis. Saves your time from re-reading the 450+ page book to re-absorb, remember and categorize concepts. Everything has been organized for you.